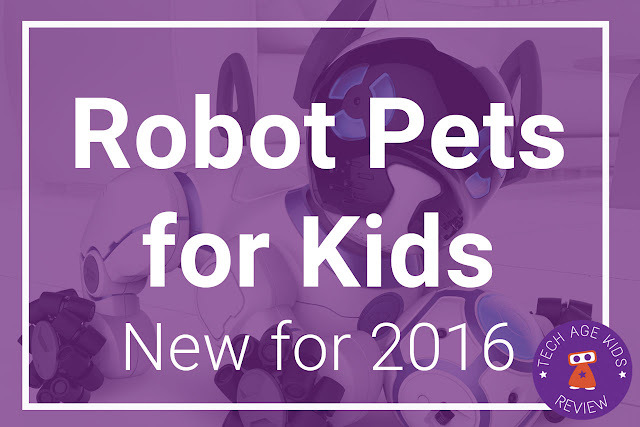 Robot pets and toys for children are really popular at Christmas and there are some fantastic new products for 2016. There are several new robot dogs this year. Robot dogs are a particular interest of my younger son who is working on Roby, his own Robot dog. But there are also some more exotic robot pets including a chimp, a toucan, a dragon and a dinosaur. We'll be updating this post as we learn more about these robot pets and they become available to buy. WowWee CHiP looks set to be one of the most popular robot pets this year. WowWee have packed this robot dog with the latest technology. WowWee's focus for CHiP is making a smarter pet with lots of personality. A step closer to an actual pet. CHiP also has an optional 'Smart Band' wearable for additional interaction and following capability. 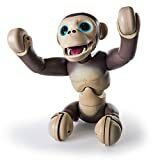 Spinmaster's Zoomer Chimp is packed with character and neat technology. Zoomer is able to stand up from a lying position and balance on two wheeled feet. This is pretty neat. 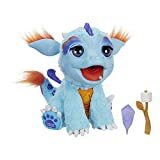 FurReal Friends (from Hasbro) have added a cute new animatronic tech pet for this year. Torch, My Blazin' Dragon is a robot dragon that can breath 'fire' (created with distilled water) and toast marshmallows (with a colour change effect.) 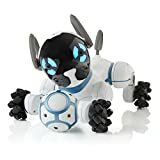 This is a neat use of technology to make a robot pet more realistic. Hasbro have updated Furby for 2016. The new Furby Connect is a much more connected toy than the previous version. It connects to an app via Bluetooth and can receive updated content including knowing about the latest kid-friendly music. 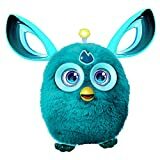 This time Furby has bigger ears and colourful LCD eyes, plus a little light up antennae on the top of it's head. Furby Connect is available to pre-order (from Amazon in Pink or Teal) for delivery from July 12th. Parents will rejoice that the new Furby comes with a sleep mask that puts it into sleep mode. Furby Connect is still battery operated rather than rechargeable. After the success of last year's Meccanoid range, Spin Master have introduced a new Meccasaur buildable robot. 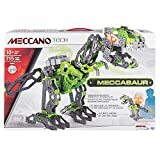 The Meccasaur is actually built from plastic Meccano parts so kids get to build the robot and understand more about how it works as well as getting a pet robot dinosaur to play with. Hatchimals are are cute new tech toy from Spin Master. 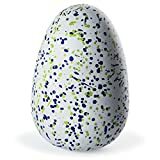 They arrive as an interactive egg toy that kids have to take care of. Once their egg is ready a mystery creature will hatch from the egg. The popular Teksta puppy from Character Options (Tekno in the US) has had another upgrade with voice recognition technology. The Teksta Voice Recognition G5 is available in the UK. There's also the new Teksta Toucan with voice recognition. 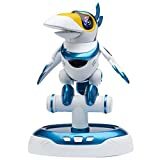 The Toucan comes with an app which supports interaction and game play. The focus here is on fun and entertainment. The Teksta Toucan show what can be done to create an artificial personality, albeit in wise-cracking Toucan form. For younger children, VTech have introduced the Kididoggy, which has a bone-shaped remote control as well as voice control. Kididoggy can be hypnotised and turned into different characters and animals. It also has an LCD screen which can be used to express emotions and personality. Kididoggy is available to pre-order from Amazon UK.